Graduation is a milestone that needs to be celebrated. 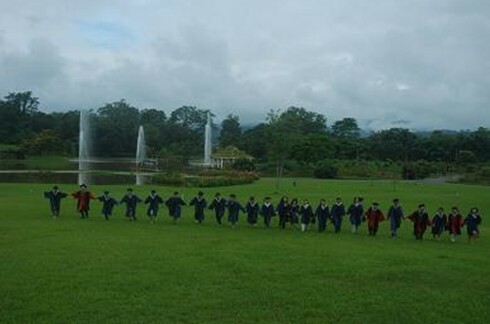 Graduation celebration is an annual event held in summer at XTBG. The graduation celebration 2011 for the graduates was held on June 15, providing an excellent opportunity to celebrate their academic achievement along with their teachers and friends. The Chinese saying “It might take ten years to grow a tree, but a life time to cultivate people highlights the process and importance of education. 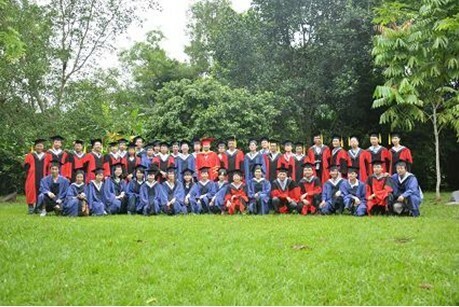 To memorize the few years studying in XTBG, the graduates and their supervisors planted an “umbrella tree” (Parashorea chinensis) which is a tree species unique to China and one of the tallest species currently in Asia. 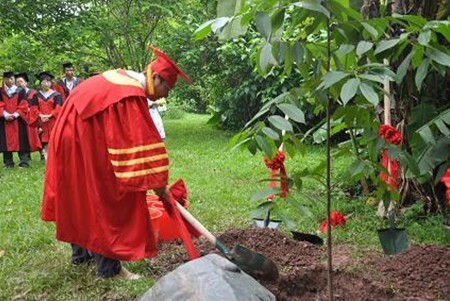 Just like Prof. Zhou Zhekun says at the memorial tree planting ceremony, the tree symbolizes that the graduates will be outstanding, straight, strong and imposing. 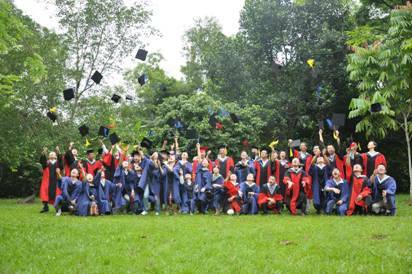 With playing of the National Anthem of China, the graduation ceremony formally started at 4:00 p.m.
Congratulations to the 32 graduates who will receive their master degree or Ph.D degrees. 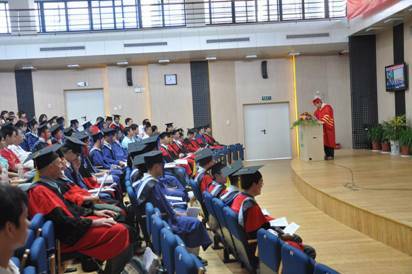 In his speech, Prof. Dr. Chen Jin, director of XTBG, urged the students to “look forward and up”, even in the most difficult moments. Looking back to the development history of XTBG, Dr. Chen Jin stressed the importance of “responsibility”. 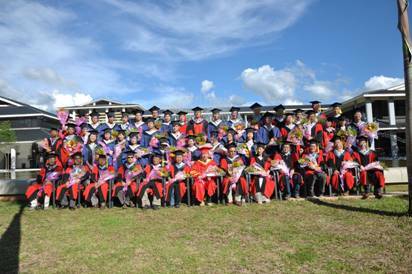 He said that “XTBG graduates should be responsible and have the courage to take responsibility”. A farewell banquet and an evening party were also held in the evening.